Shifting from Adelaide to another state? Shifting within Adelaide? How are you going to manage the smooth removal of all your belongings? 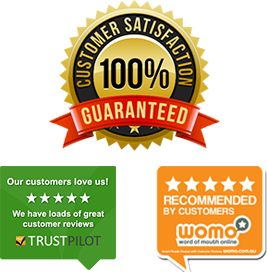 Found a trusted removalist yet? - Common questions that everyone faces when shifting a house! These questions may seem small to someone who has never done it but in reality these are BIG questions and the right answers can take a lot of time. It is definitely not easy to ensure proper removalist services but it is not impossible. Furniture takes up a lot of time and requires great care for proper transfer. It is not a job that can be handled by anyone and everyone. Our Removalists Adelaide team will give you all these answers and more. We network with several reputed movers and we will share our networks with you. For any customer enquiring about transfer we provide a list of comparable quotes to choose from. Our lists are competitive and include only skilled and professional movers. All the companies we work with understand the need of high quality and the best of market standards. They are experts in the field and guarantee making your house removal a totally hassle free and great experience. We extend our full support to all our customers and make a note of each and every specific need of individual customers. The recommendations of moving companies we provide are also wholly based on these specific needs of the customers. Our services are FREE of cost for the customers. We do not charge any fee to provide our customers with the best comparable and competitive quotes list. We understand that choosing the right mover can involve a lot of effort and time. 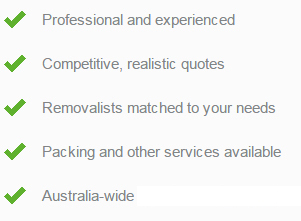 Our Removalists Adelaide team will put in this effort and time on your behalf. Experience a smooth and hassle free move with eMove Connect..
My cousin recommended eMove to me as they had previously used them for their house relocation in Sydney and were very pleased with the price and options to choose from different moving comanies. Whislt not the cheapest, I found they managed to explain to me the difference in what they did as compared to the other removalists in Sydney. Whilst I won’t actual know what the other guy would have cost me, I was overall happy with the experience with Lyn and eMove. After a difficult transaction I spoke to Mike and he helped resolve all of my concerns. From a service perspective, for a removalist firm, you guys made a good impression and I would be happy to refer any of my friends to you. Finding a reliable removalist is like hunting for a needle in a haystack. My mate Simon suggested I call Mike and I was only too happy to take his recommendation. In the end I was thoroughly impressed by the professionalism of his team and the attention to detail they had in managing my moving process. I have bought and sold a number of times and this was by far a stand out moving experience.